A quaint New England Cape Cod, the kind commonly found in the Boston suburbs, was in need of an update. The wood shingle siding and asphalt roof were worn and aged. It was also difficult for the homeowners to stay on top of the maintenance required to keep the wood siding looking its best. What they needed was a way to give their home's curb appeal a much needed boost without all the extra work. After: With new siding and a new roof this classic Cape Cod is a show stopper. Enter Residential Exteriors, Inc. (REI Roofing). They wanted to help the homeowners give their suburban home and adjacent garage a fresh look that required less maintenance and would look great years into the future. Before: The garage was in dire need of repair. After: Cedar Impressions shingle siding delivers the look of wood without the maintenance. To meet this challenge REI Roofing turned to CertainTeed. They selected Cedar Impressions® Triple 5-inch Saw Mill Shingles in Sterling Gray for the walls of the home and garage, and Landmark® Premium Shingles in Cobblestone Gray for the roofs. The realistic sawmill texture of the siding, with molded textures that actually replicate the effect of saw blades and splitting tools, gave the homeowners the authentic wood siding look they wanted. Made of a resilient polymer, the siding requires little long-term maintenance (just the occasional cleaning with soap and water) and no painting. Before: The original wood siding is chipped and peeling. After: New siding, trim and porch make for an inviting space. 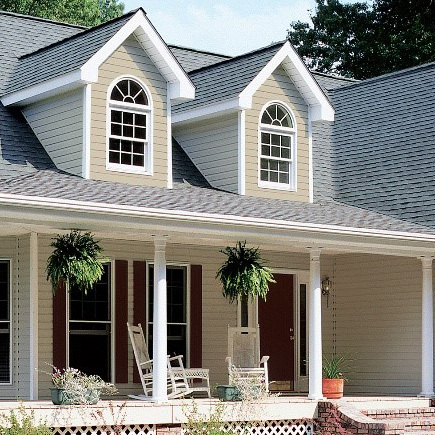 The modern gray roof pairs well with the sterling of the siding giving the home a cohesive, well-designed look. 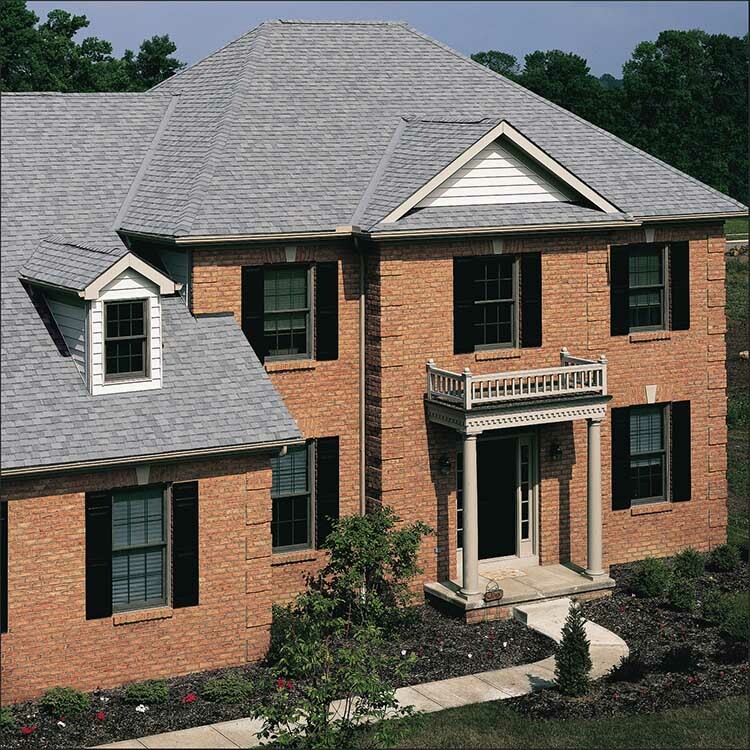 The multi-layer construction of the Landmark Premium shingles provide the beauty and depth of wood shake roofing. 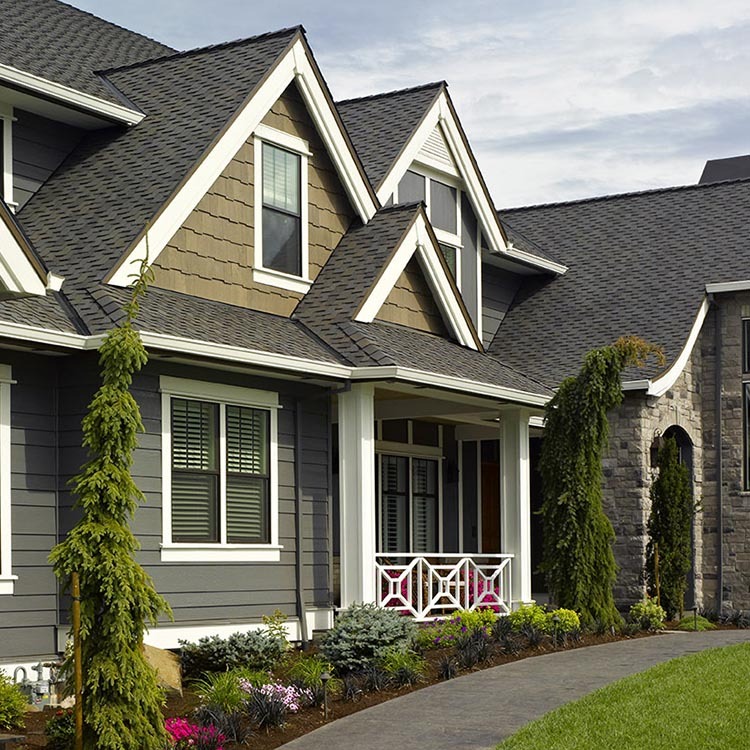 The shingles also feature CertainTeed StreakFighter® technology, which protects the roof from streaking caused by algae. But perhaps the best part of the makeover is - the peace of mind that comes with using a trusted contractor and CertainTeed products. “It's comforting to know that we can offer [the homeowners] the best services, products and warranties that the industry has to offer," said Nick Kazolias, owner of REI Roofing. “CertainTeed offers REI the same assurance that we offer our clients; that the services and products will stand the test of time and the company will always stand behind them." This home makeover recently earned REI Roofing recognition as CertainTeed's Remodeler of the Quarter. Have a project you'd like considered for Remodeler of the Quarter? Review the contest rules.